Todd Robinson has returned to his Boo and Junior series with a hell of a bang. 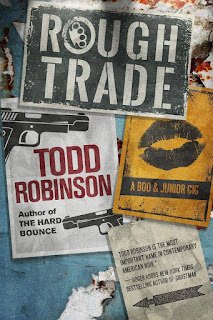 Rough Trade shows that Robinson and his crew of characters are big on heart, witty as hell, and all have a story to tell that will hopefully lead to many more entries on what is shaping up to be the best “bromance” series since Harlan Coben’s Myron Bolitar and Win hit the scene. Boo and Junior are their usual lovable selves in this excellent read. They have sharp tongues, sharp wits, and tend to solve their problems with their fists; yet they do it with heart and a manner that leaves the reader flying through the pages and enjoying every punch and scrape. After helping a work colleague deal with a friend’s abusive ex, Boo and Junior find themselves in over their heads; the abusive ex is found murdered, with Junior’s phone in his possession. When Junior is pulled in by the police, Boo is forced to hit the streets and attempt to find the answers that the police, thinking they have an open and shut case, won’t look for. Knowing that if Junior goes down for the murder he will also have one foot through the prison door, Boo is racing against the clock to put the pieces together and save his brother from a fate neither one of them want. The beauty of this book is the depth that Robinson adds to his characters. He explores more of Boo and Junior’s shared childhood and their relationships with two other friends from their time in their foster care system. We get more glimpses into what shaped Boo’s white knight syndrome and why he is willing to sacrifice himself to save the people he loves. Between learning of Boo’s hallucinations of his lost and abused eight year-old self during times of mental stress, to his self-realization that while he sees himself as a hero he may just be a bully that bullies the bullies, and to his learning that the words he chooses may have life-long implications of those he loves, the reader gets a glimpse at the humanity that lies underneath the tough exteriors of Boo and we grow to love him more because of his faults, rather then despite them and we understand how he was shaped by the world he grew up in. 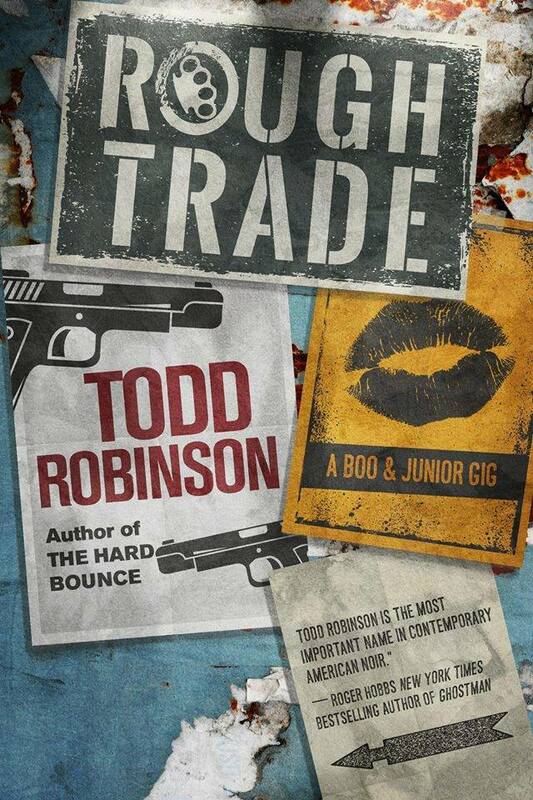 Robinson has infused this series with heart, compassion, and a great sense of character growth. This is one hell of a great series and seems to be getting a good deal of well deserved main-stream attention. I really enjoyed this book and am already anticipating the next series addition.